Too much Kickstarter money means we'll have to wait for the new Leisure Suit Larry. 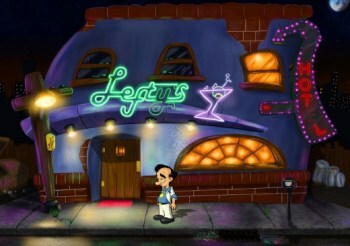 Fans of classic adventure romps got some good news last week with the announcement that Replay Games' Leisure Suit Larry remake had surpassed its Kickstarter goal, ultimately ringing up nearly $675,000 in funding. But like the big twist in The Crying Game, that happy ending brought with it some unexpected bad news: The game was originally slated to be out in October 2012 but will now likely be held up until sometime in 2013. Replay pledged to add more rooms, more girls and more lousy pick-up lines if certain funding targets were met, but that means more development time will have to be sunk into the game. "We were originally planning on shipping in October but since we have to pretty much design a TON of new stuff (which I think is extremely positive), there is no way in hell we're going to make October 2012," Replay's Paul Trowe explained on the LSL Kickstarter page. "We MAY be able to make December but honestly, I'd rather launch the game after the holiday season and put a lot of polish (no, not Pole-ish...I said polish!) on the game and make sure we have beta tested it enough to release," he continued. "There is nothing I can't stand more than a game that was released 'to make Christmas' that is just riddled with bugs (anybody remember some unnamed PC games that would ship super buggy in hopes the patch would come out before the game hit the shelves?). " Leisure Suit Larry fans will almost certainly have to wait until sometime in 2013 to get their hands on the game, in other words, and they have nobody to blame for that but themselves. Nice going, guys.